High up on the side of a remote High Atlas valley is an engineering marvel – hewn through the cliff face a spiral tunnel manages to curl down through the rock and emerge underneath itself. 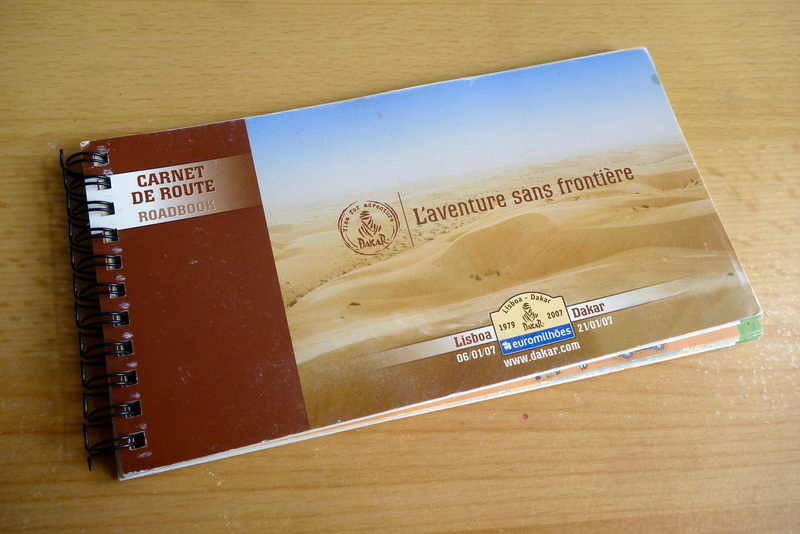 I was told about this curiosity in 2012 by the chap at the cozy Chez Moha auberge (right) in Aït Youb while researching the second edition of Morocco Overland. 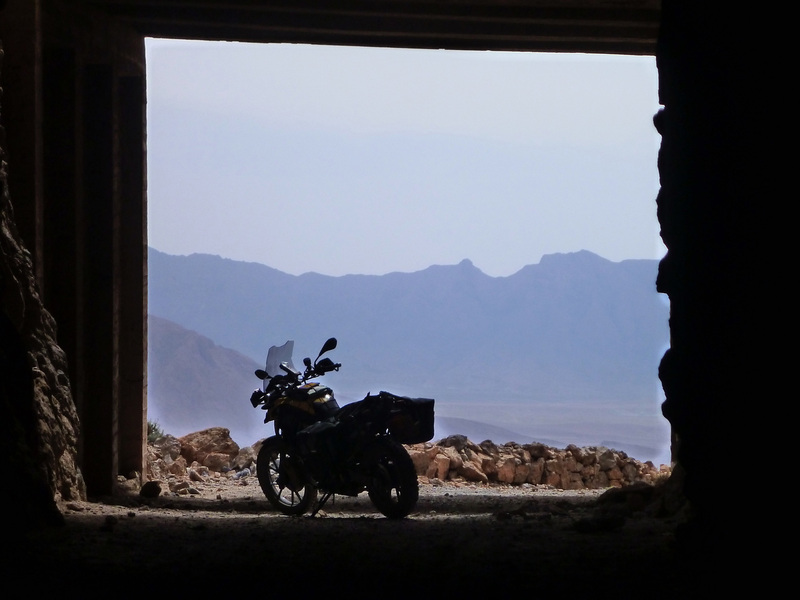 Riding a BMW F650GS, I followed his directions with the usual route-finding issues and then, beyond the last village, hacked up a stony disused track to the 2250-m (7340′) Tagountsa Pass. 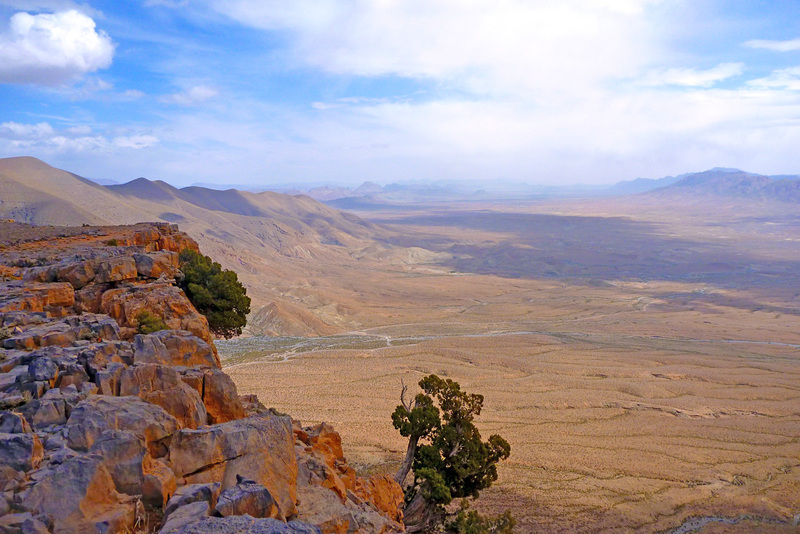 From the cliff edge I recall the timeless view stretching east up the Plain d’Amane valley towards Rich, pictured below and on p128 in the current book. 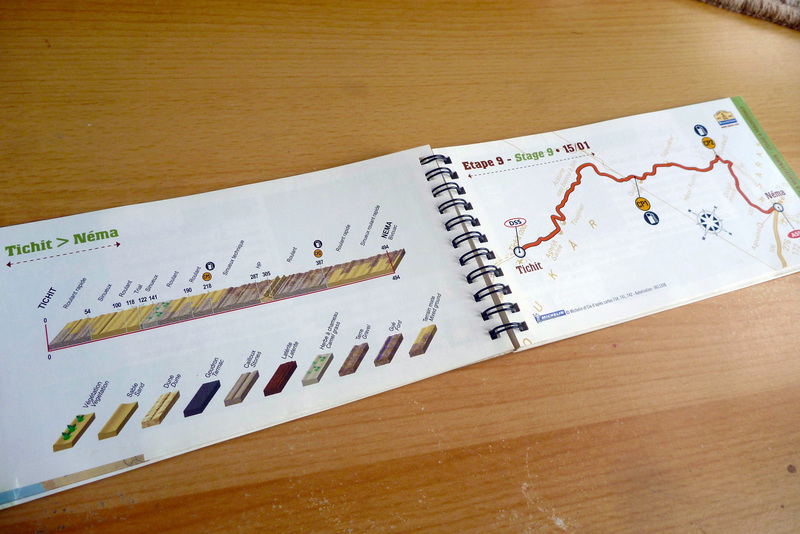 A short distance later I spun through the tunnel and rolled down a series of switchbacks back to the valley floor and a tasty tajine back at the auberge. 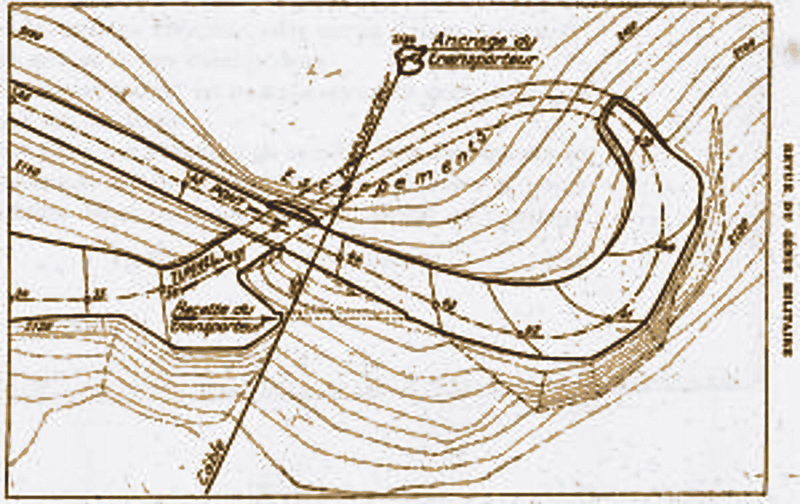 Spiral tunnels have been a long-established solution to constricted route building challenges across mountains. You could even say that your typical complex freeway intersection where the road winds back under itself to change direction tightly is the same thing in flyover form. 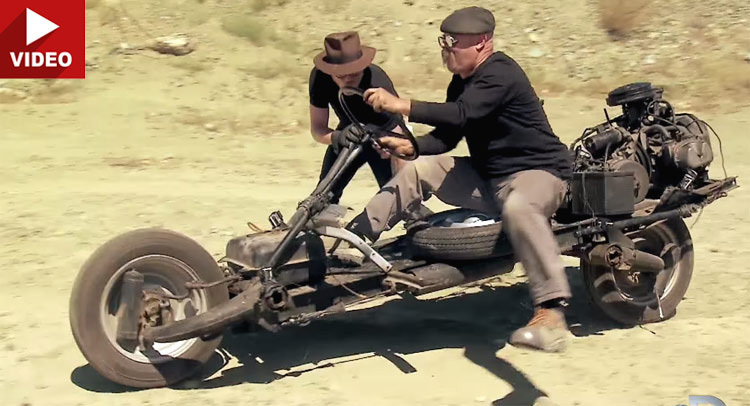 But you must admit that hacking out any type of tunnel – let alone one where there’s no room to dig out a regular switchback – is an impressive task. 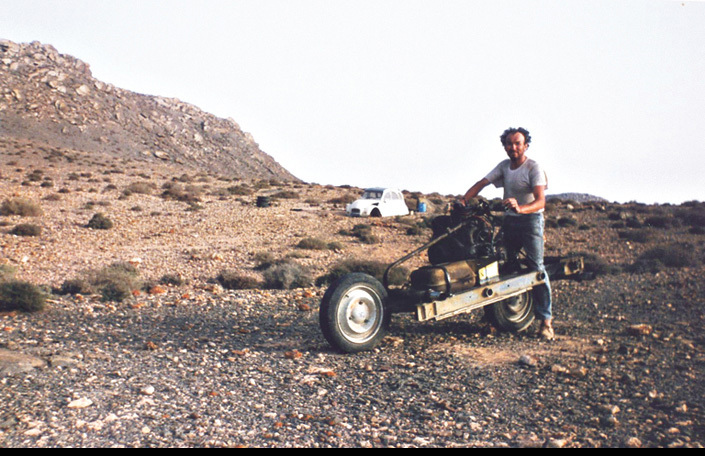 Not for the first time on this website, I’m able to benefit from research of Yves Rohmer (right) on his always fascinating collection of old Saharan curiosities at Saharayro, including the Tagountsa tunnel. 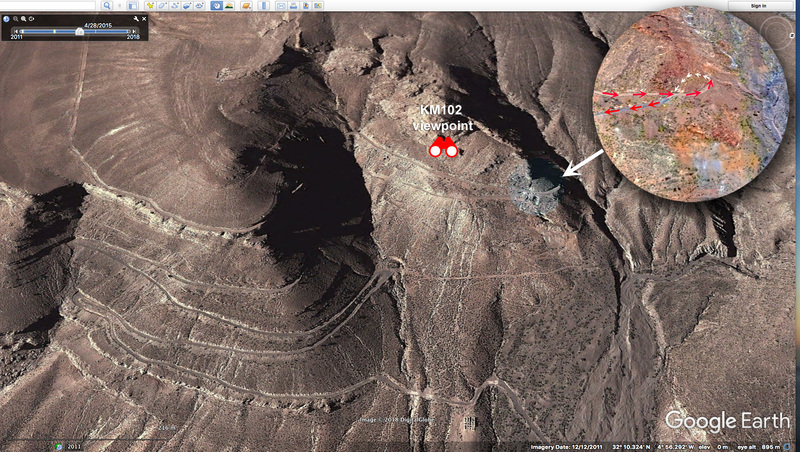 Viewed on Google Earth, the big picture is more vividly rendered setting View > Historical Imagery back a few years. 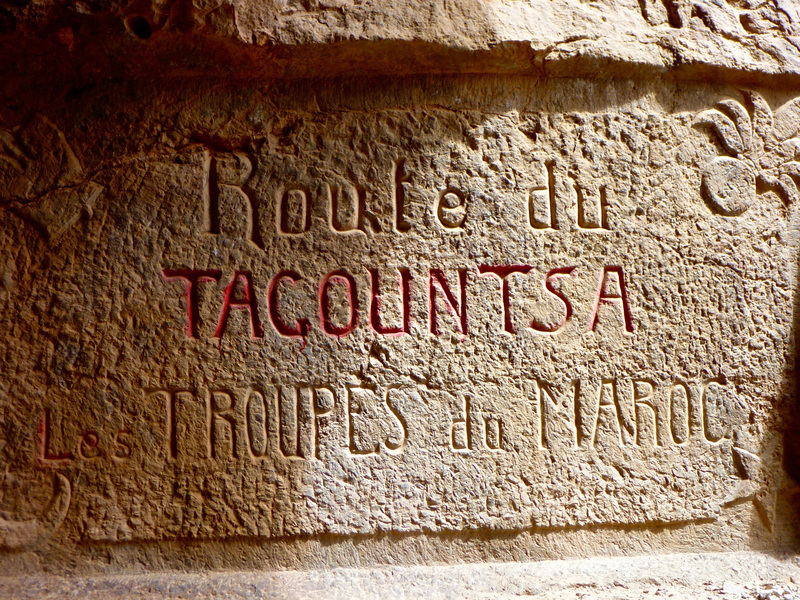 Built in 1933 over a period of just three months by some 3000 labourers from local and French regiments, few realise that at this time the French were still fighting to subdue renegade Berber tribes in the mountains of Morocco. 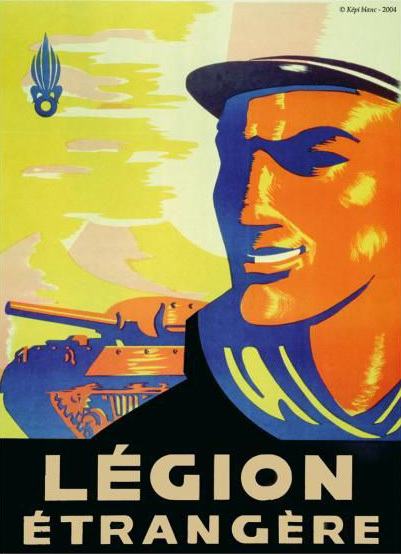 As you can see on Yves pages, the engineers, sapeurs and legionnaires passed their spare time commemorating their achievement by engraving regimental emblems in and around the structure. 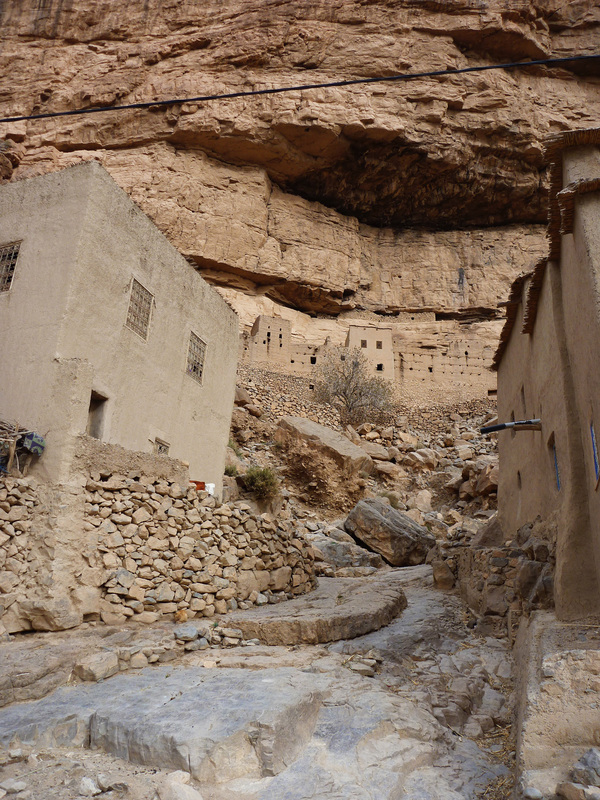 I was told the motivation for all this effort was to enable a secure, high transit of the valley, so avoiding protracted Berber ambushes at the narrow Imiter Gorge (left; ~KM70) with it’s Mesa Verde-like dwellings. “The mountain barred the way. 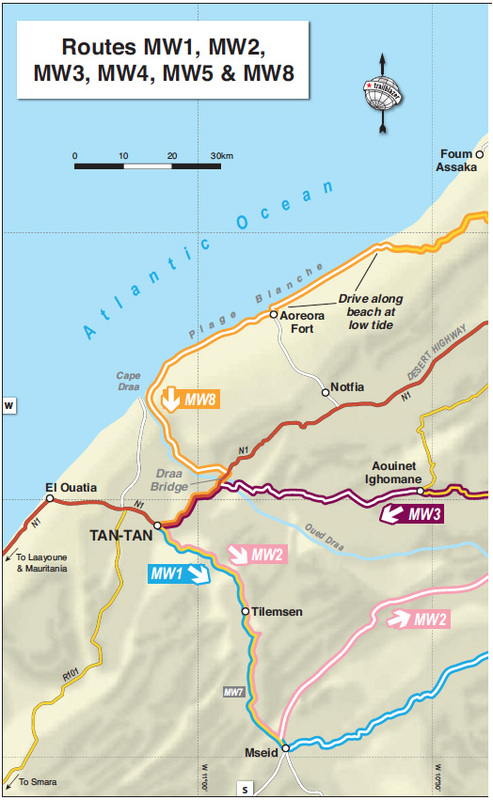 The Tagountsa tunnel the Legion helped build is at KM102 on Route MH13 in the book, though if you reverse the route it’s only a 10-km off-road drive off the Rich road just east of Amellago, turning north onto the dirt at KM113. 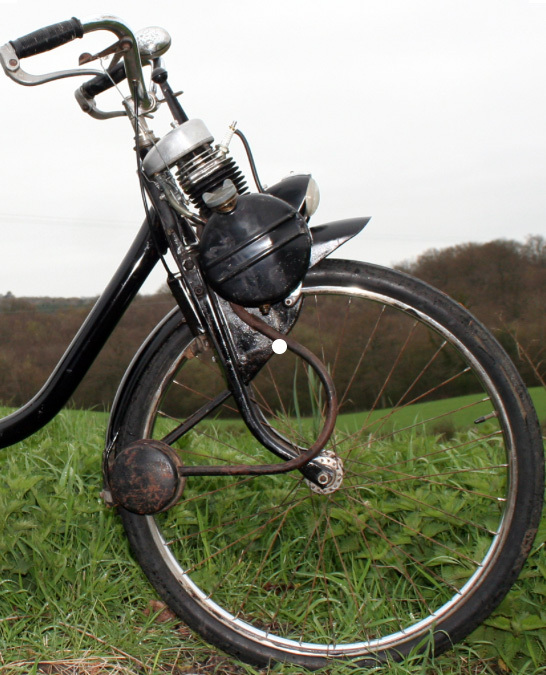 Depending on storm damage, an ordinary car or a big bike should manage it, but note that you’ll be negotiating all those hairpins on the Google image above. From the west side (as Route MH13 describes the loop) it was a rougher and slightly more complicated ride on the BMW up to the pass. 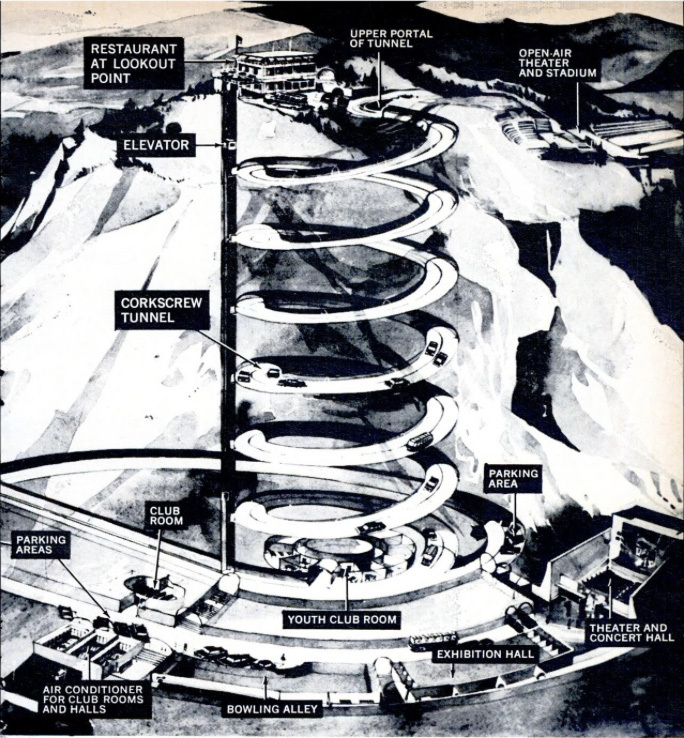 Perhaps because trains can’t negotiate hairpins or climb very steep grades, it seems that spiral or helicoidal tunnels have been a much more common feature on mountain railways than roads, particularly in the Rockies. 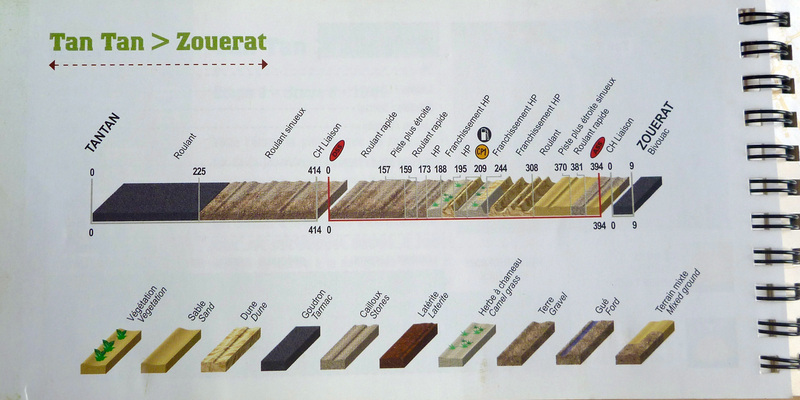 Norway’s Drammen Spiral (left), some 50km southwest of Oslo is a notable example, dug we’re told, as an alternative to disfiguring effects of open quarrying on the landscape back in the 1950s while at the same time producing a revenue-producing tourist attraction in the process. 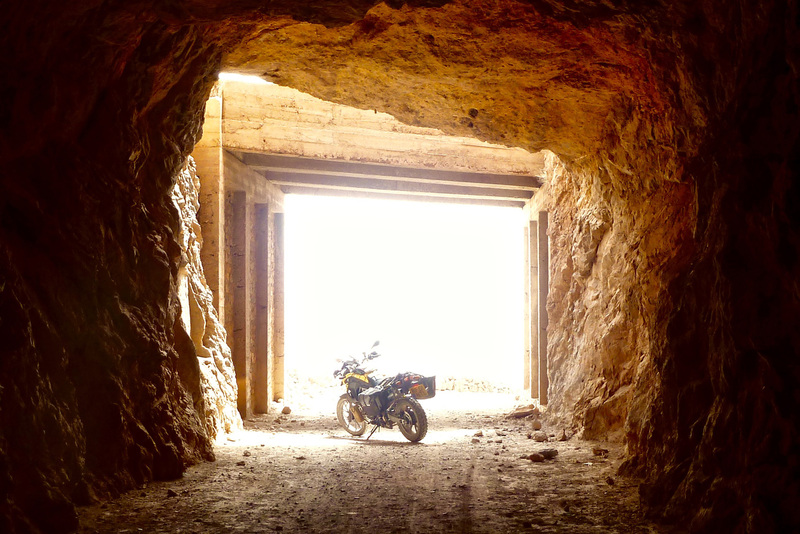 This entry was posted in Cars, Trucks & 4WD, Desert Babbles (blog), Morocco Overland, Sahara News and tagged Amellago, BMW F650GS, Chez Moha, Drammen Spiral, Imiter Gorge, morocco overland, Route MH13, Saharayro, spiral or helicoidal tunnels, spiral tunnel, Tagountsa Pass, Tunnel de Legionnaires, Yves Rohmer on May 30, 2018 by Chris S.
“We left Biskra with Corporal Dewoitine as a mechanic, and took hours to reach Touggourt, averaging 50kph, despite a trail of frightful ruts. 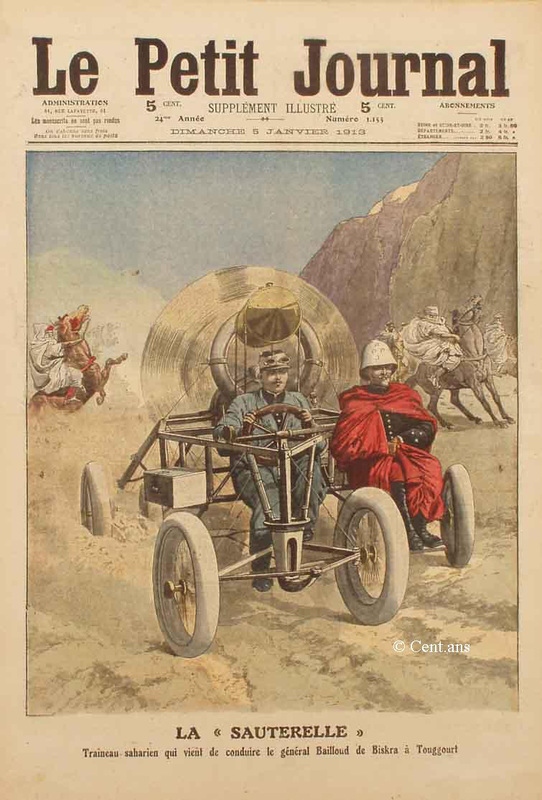 Our arrival was all the more sensational than in an airplane because I drove right down the main street in a torrent of dust, skimming past walls and passers-by with with my propeller, causing burnous, guenours and chèches to fly in all directions. It was a beautiful panic! 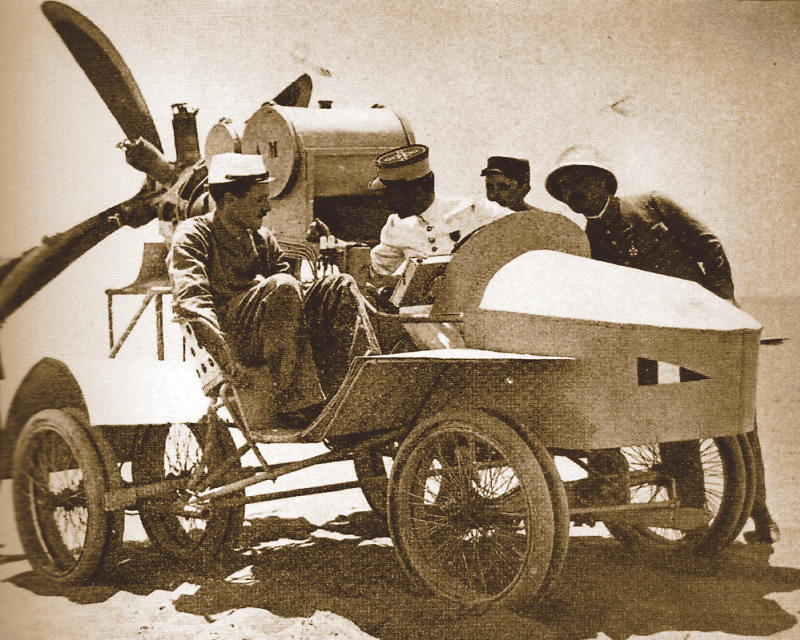 The two adventurers quickly left Touggourt in a cloud of dust, heading for Ouargla, but the infernal locust began to show its first signs of fatigue: sand gnawed the leading edge of the propeller and the engine dropped to half power. 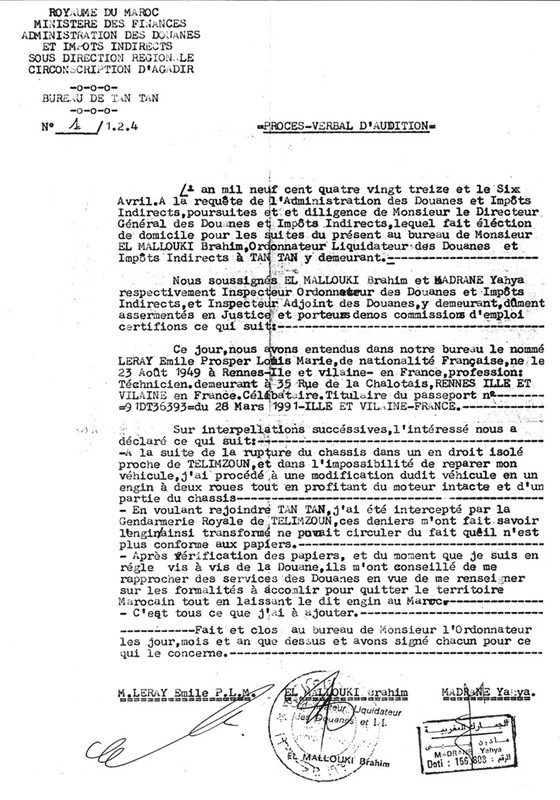 De La Fargue ordered Dewoitine to head for Square Bresson, a junction and small oasis 50km away. 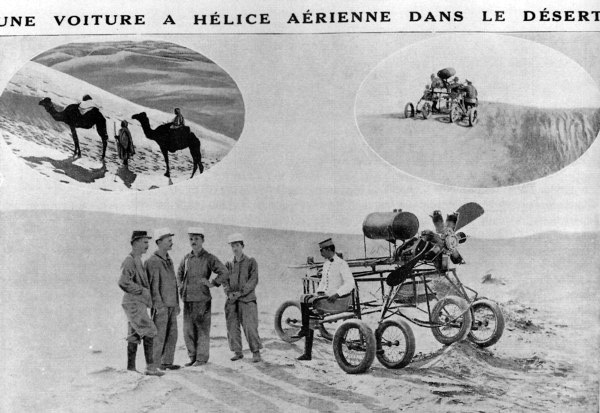 Just before WWI, at the motor era matured on land sea and air, various self-propelled contraptions came to be tested as a means of penetrating France’s vast Saharan territory. 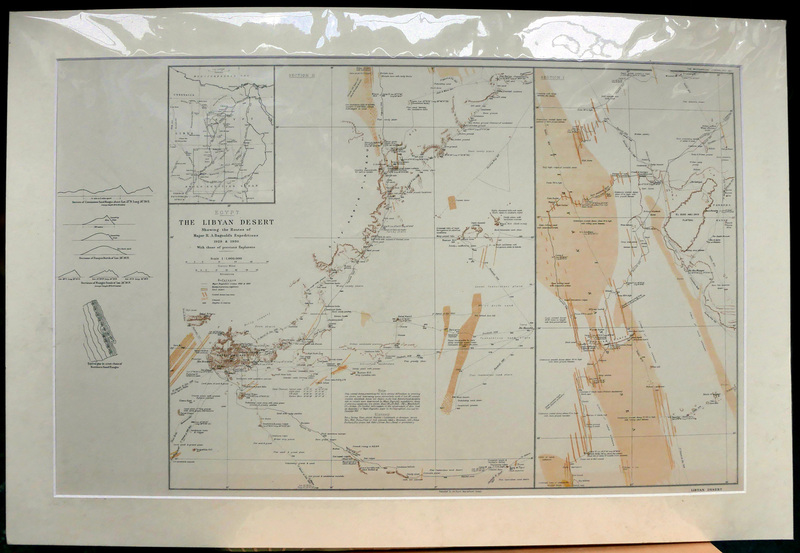 Lacking the railways which by then traversed America and southern Asia, up to that time columns of men had to trudge alongside huge camel caravans, making them vulnerable to still hostile desert tribes. 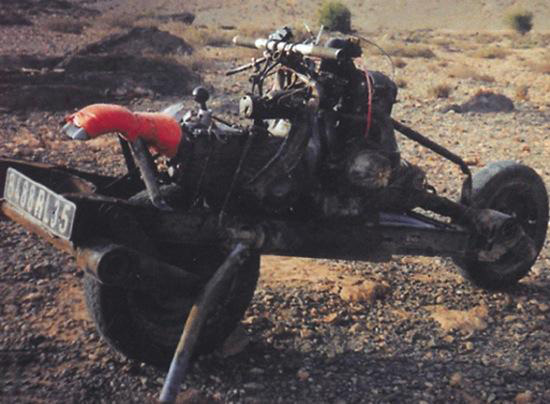 An ingenious combination of airplane landing gear with a cab stuck on top, the distinctive propeller car was one short-lived solution to enable rapid communication across the desert. 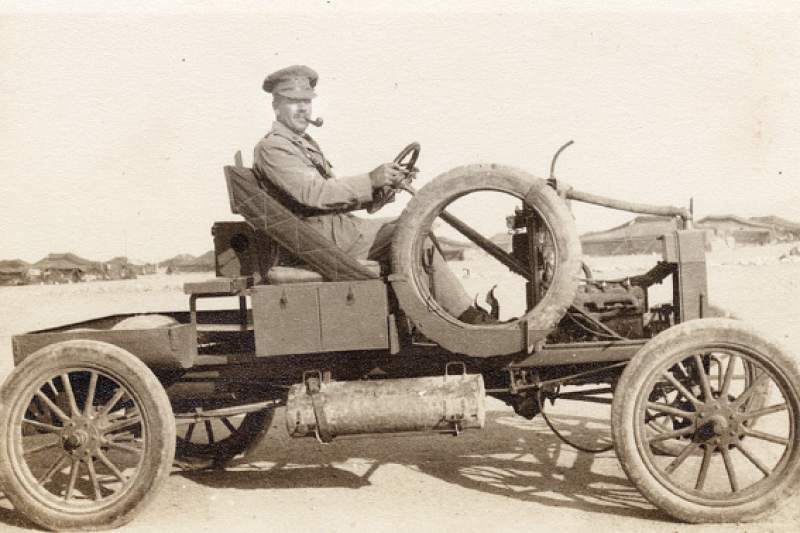 Invented by Corporal Gustave Cros, the chassis was an elongated triangle on three axles, each carrying twin wheels, while a propeller directly fixed to a 50-hp motor thrust the vehicle forward. 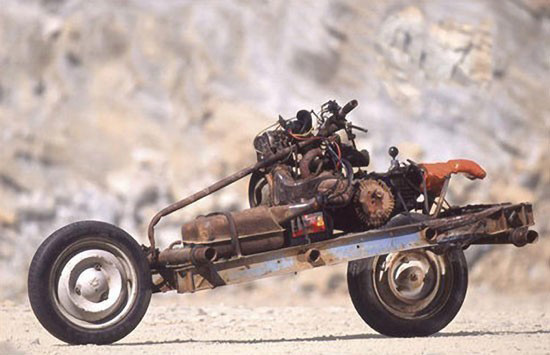 It’s said an ingenious form of highly articulated independent suspension allowed each of the wheels to track the terrain, however rough. Early models, like the one right, were considered too light to be stable but nevertheless progressed from two to four to six blades. 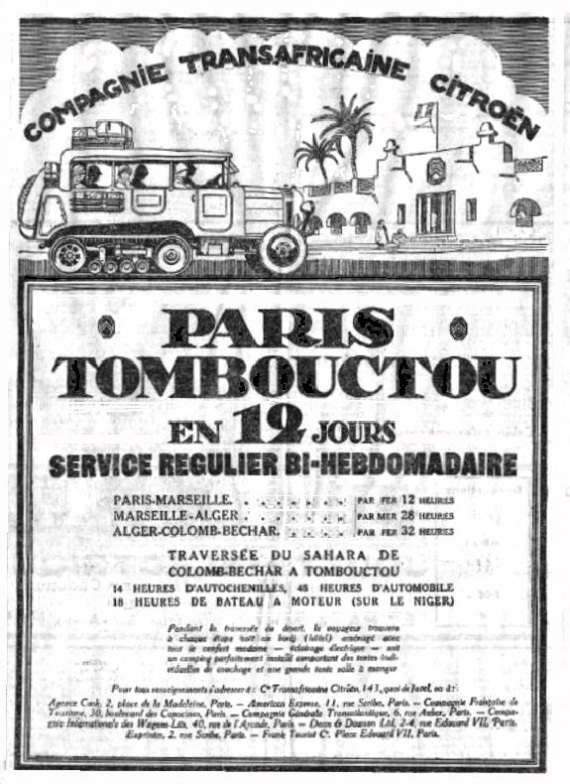 Capable of 60kph, in the summer of 1914 the Sauterelle left the rail terminus at Biskra for a 200-km test run to Touggourt. 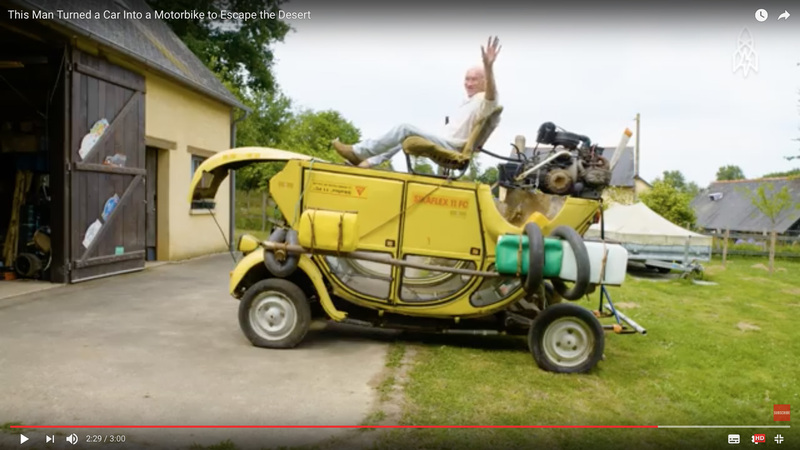 The main difficulty was said to be slowing down and stopping, but that didn’t stop a chap called De La Fargue modifying a 60-hp Brasier car; his six-bladed ‘Aerosable’ hopped its way to Touggourt in just two hours. 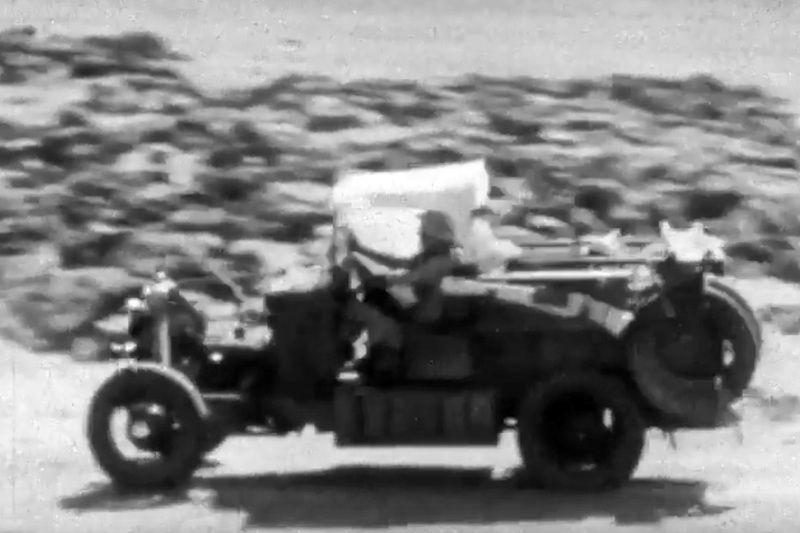 Encouraged by this achievement, he went on to consider an amphibious vehicle whose wheels could be replaced by a wooden hull for sliding over the salty Saharan chotts where even camels feared to tread. You do wonder what they were thinking. 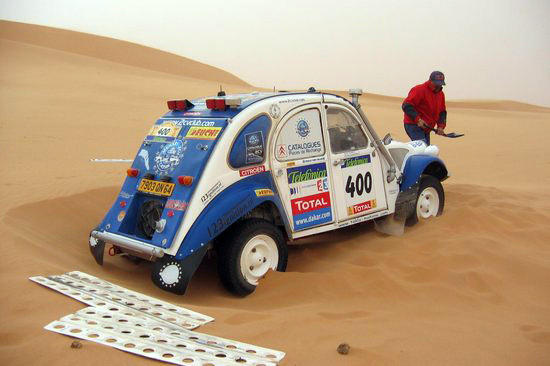 Presumably it was a solution to the problem of powered axles digging in to soft terrain. 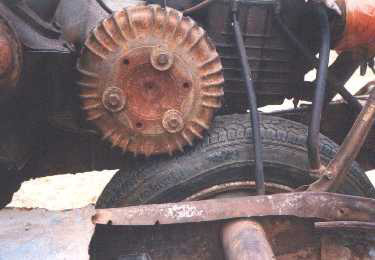 Perhaps pneumatic tyres were crude and couldn’t reliably be run at low pressures to elongate the footprint and so increase flotation, or that idea was not yet known (in Libyan Sands Ralph Bagnold wrote of discovering this technique in the 1920s). 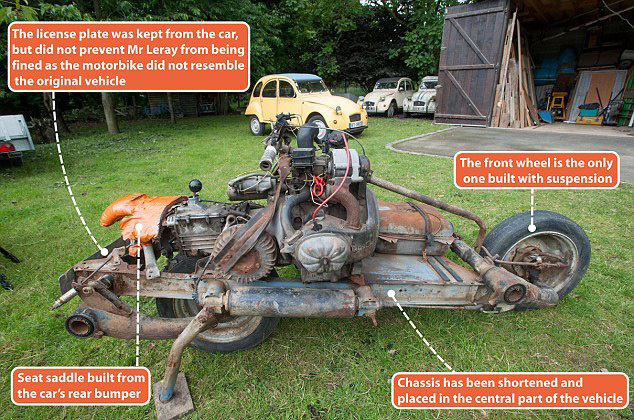 Hence, doubled wheels all round, like the Renault (above left), or the Citroen half-track desert taxis (right) which were also used on epic trans-continental proving expeditions, long after the Sauterelle had hopped itself into the scrapheap of automotive dead-ends. 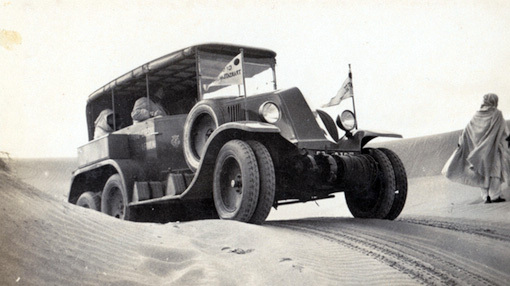 By the end of the 1920s, this period of wacky inventions had run its course while several esteemed French Saharans died in lonely desert plane crashes, But from as early as 1916, on the other side of the Sahara, the British Light Car Patrols were successfully deploying conventional but stripped-down Model T Fords deep across the Libyan Desert, and all without trailing a deafening sandstorm wherever they went. Translated and adapted from Oliver Boul’s post here. Lots more interesting stuff there. 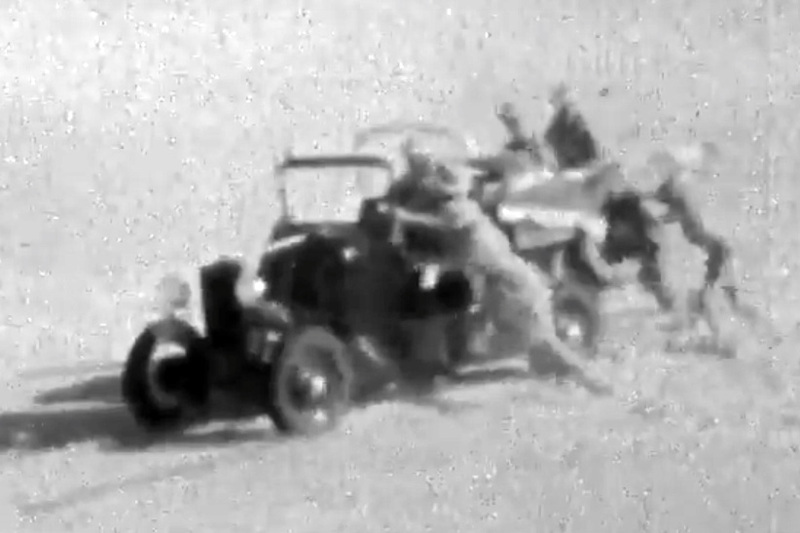 This entry was posted in Cars, Cars, Trucks & 4WD, Desert Babbles (blog), Uncategorized and tagged British Light Car Patrols, model t ford, propeller car, Sauterelle on February 22, 2017 by Chris S.
A while back, before things really got bad in the Sahara (see map right) it occurred to me that, with one small effort I could link up a lateral crossing of the Sahara between the Nile and Atlantic. 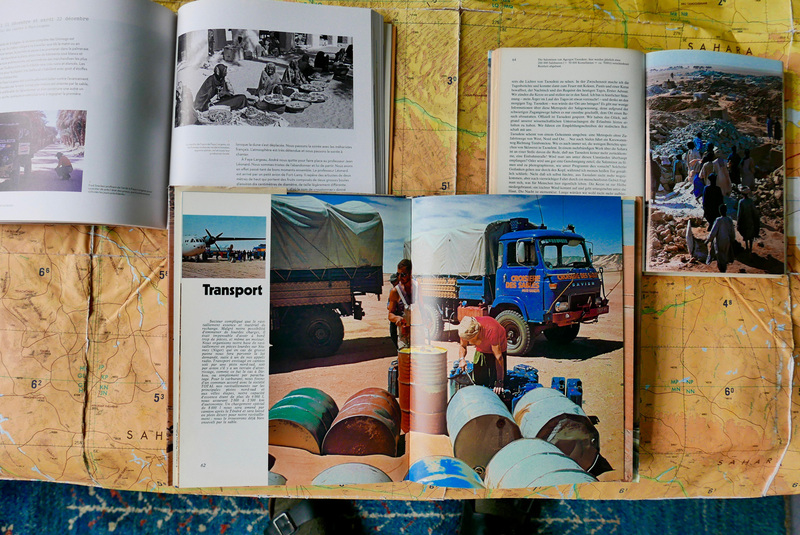 Of course it would have taken me several years, but across three trips: Libya 1998 (researching Sahara Overland); Egypt 2004 and SEQ 2006 it looks like I’ve covered about 90% of the distance. 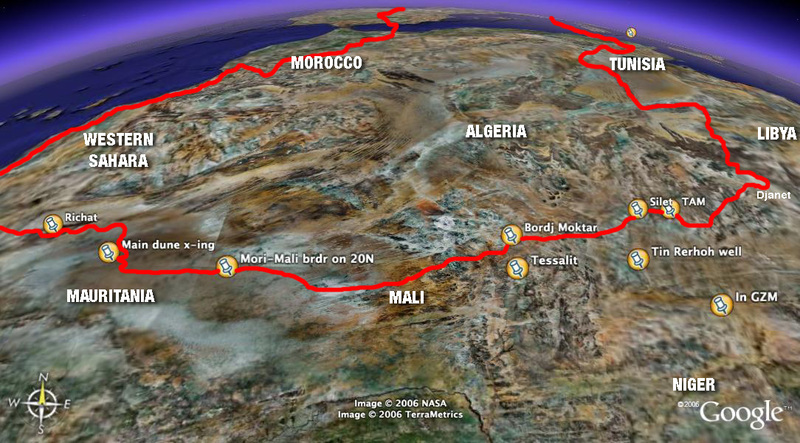 All that remained was a short, 70-km gap in the far eastern Algerian oilfields near In Amenas to the Algerian Tree (visible on Google sat and pictured below in 1998) on Route L2 from Sahara Overland (right). 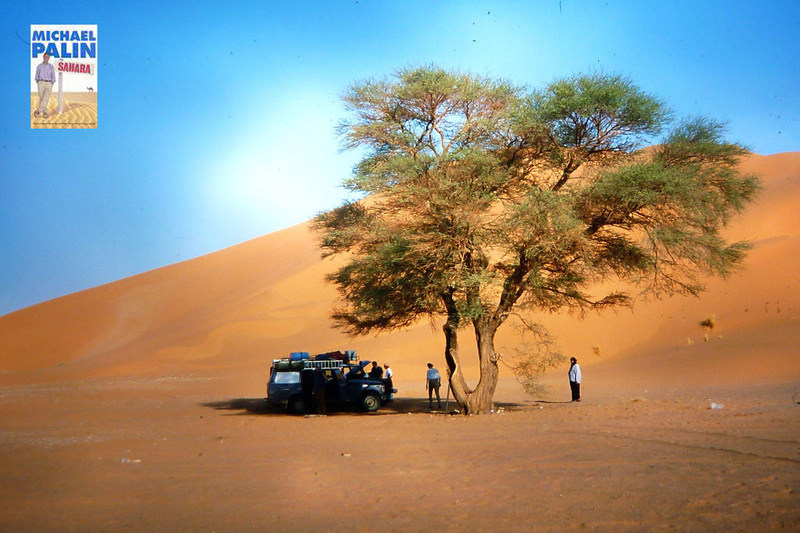 Some may recall Micheal Palin visited this very tree for his Sahara TV show and proclaimed ‘this spare, uncluttered, beautiful spot was one of my favourite places in the Sahara‘. Well, he’s easy to please! 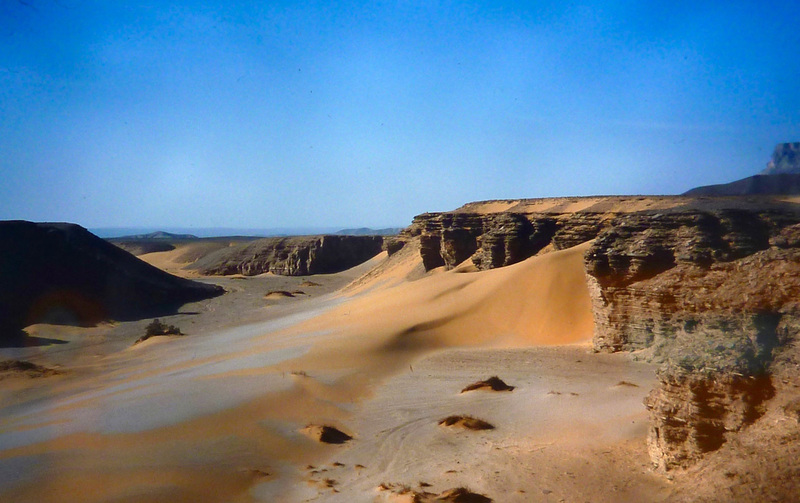 And in fact, when we treked with mules to Sefar on the Tassili plateau in 2013, I was even closer to our 1998 route into the Libyan Akakus. 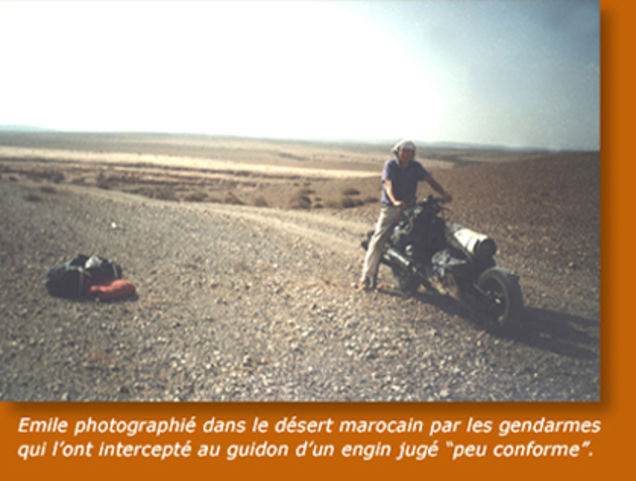 On the right, Wadi Tin Alkoum demarking the Libyan-Algerian border, south of Ghat. 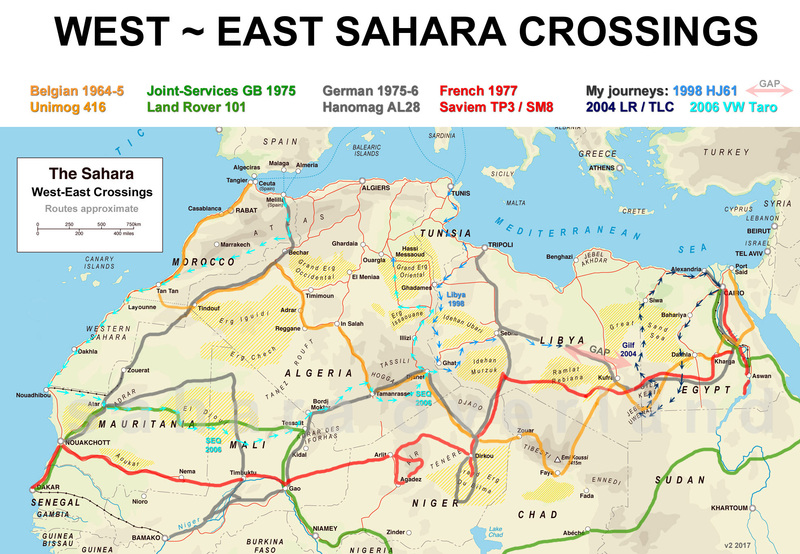 As I suggested there, a true, unbroken, all-desert lateral crossing of the Sahara with vehicles had yet to be achieved and as things stand, probably never will be in our time. 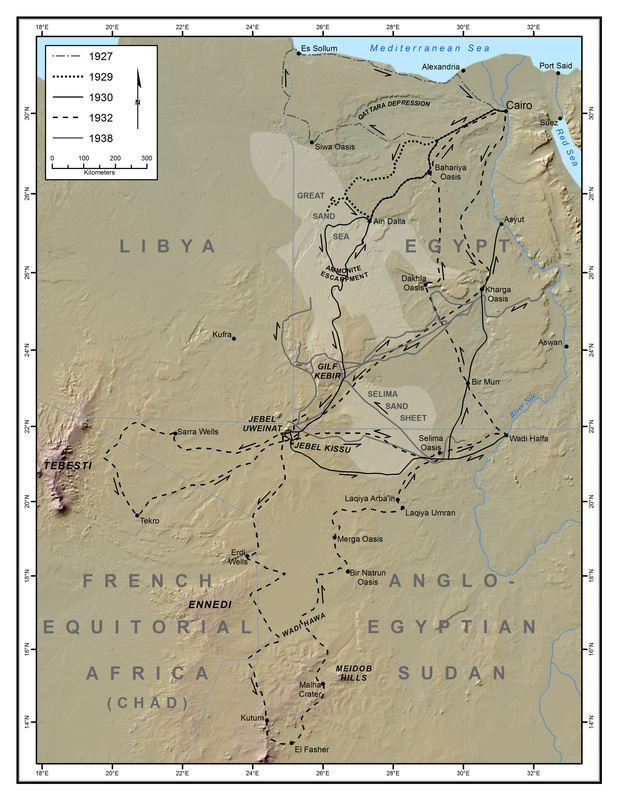 If you combined the British route across Mauritania and Mali, then follow the French or Germans to Dirkou in Niger and the French or Belgians east of there, you have a pretty good line. 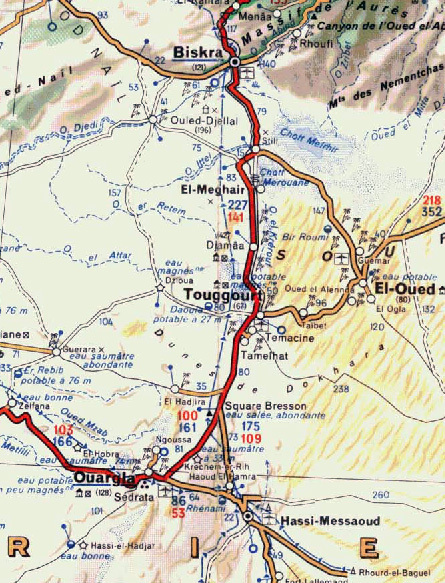 As it is, even with a lot of road-driving in Algeria, I’d say from Tan Tan 9000km east to Port Safaga near Hurghada on the Red Sea, the Belgies get the nod (map left but note the oddly misaligned borders). 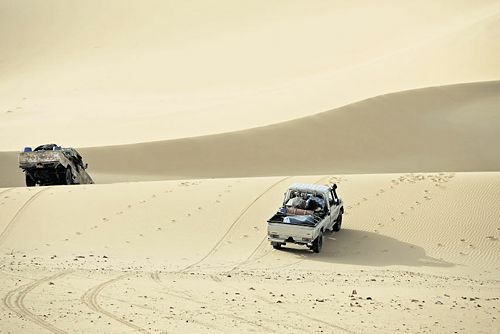 The chances of achieving a true Saharan traverse are currently about as slim as they’ve ever been since the invention of desert driving. 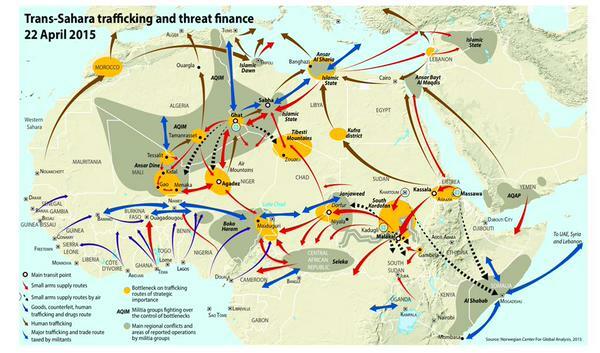 Much of the Sahara of Mali, Algeria, Libya, Niger and Egypt are unsafe or off-limits. 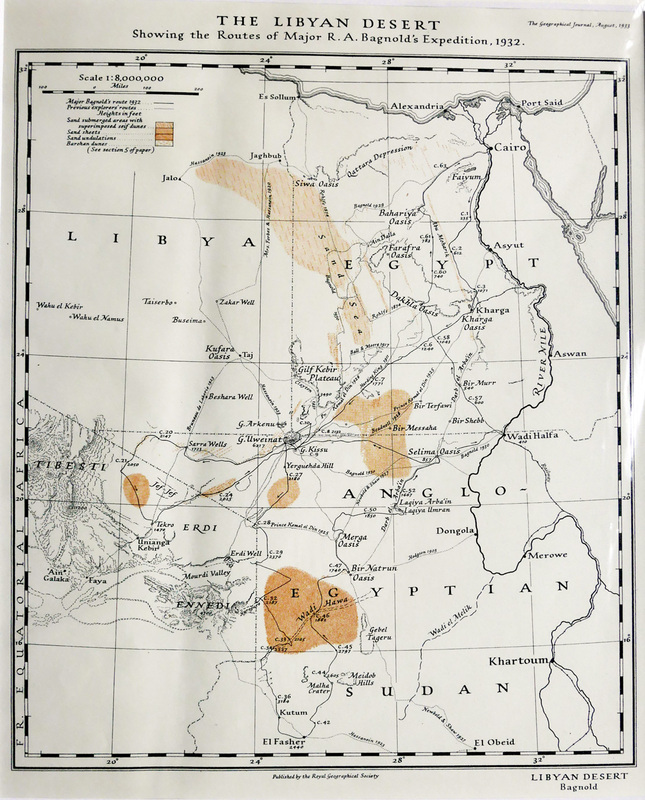 Eastern Mauritania is said to be the same, and southern Algeria from Bordj towards Djanet (as we did in 2006 – left) is restricted. 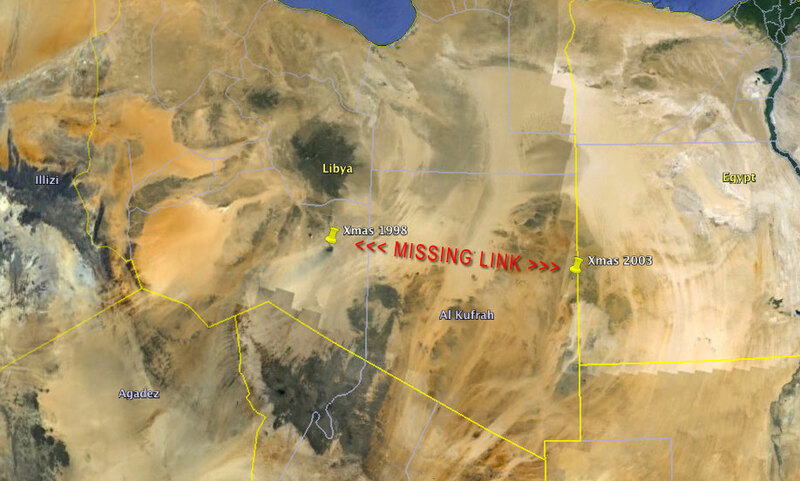 people smuggling convoys still roll into Libya from northern Sudan above Darfur and are preyed on by Zaghawa bandits. 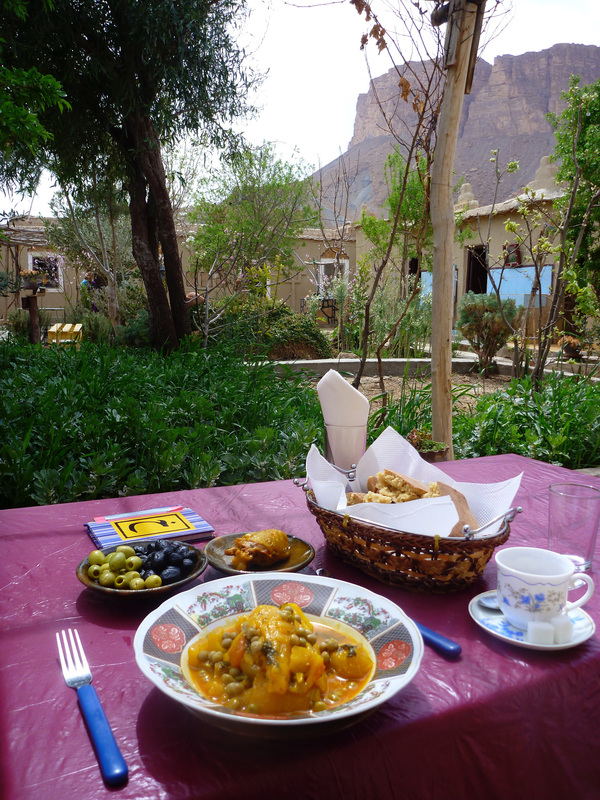 In southern Egypt the Gilf has so many access regulations that few bother any more. 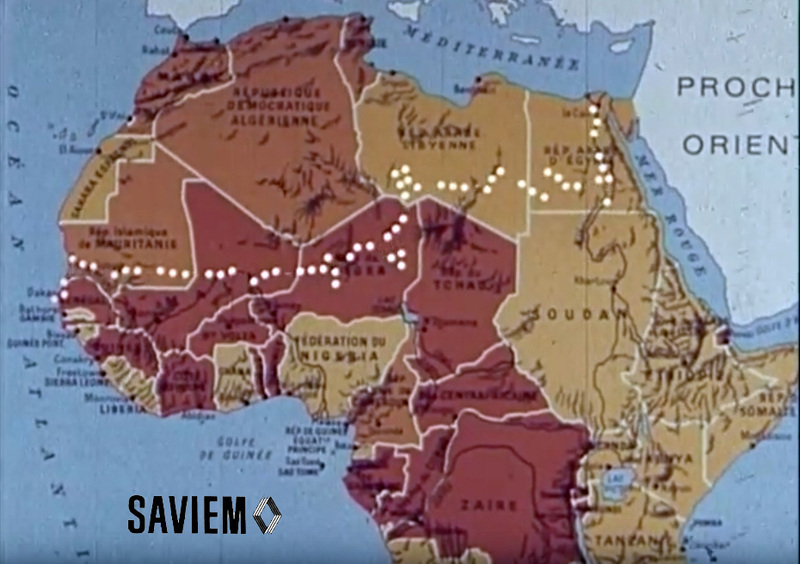 Even in the West-East expedition era permissions played a part: the Belgians had to enter Algeria from Spanish Sahara, not Morocco, the Joint Services couldn’t enter Algeria which kiboshed their route, the Hanomagers bounced around the Sahara like pinballs and the French seemed to dodge Algeria and Chad. 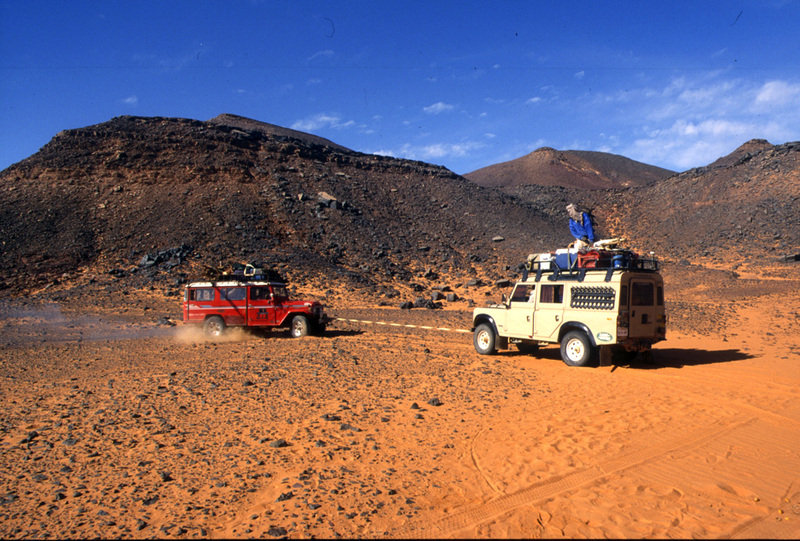 A few years ago when ‘snow‘ was falling over the southern Sahara, it was reported that cocaine was landing in narco-state Guinea Bissau to be transported up to Mauritania from where smugglers lit off east in their V8, twin-turbo Land Cruisers right across the Sahara to Egypt (left). 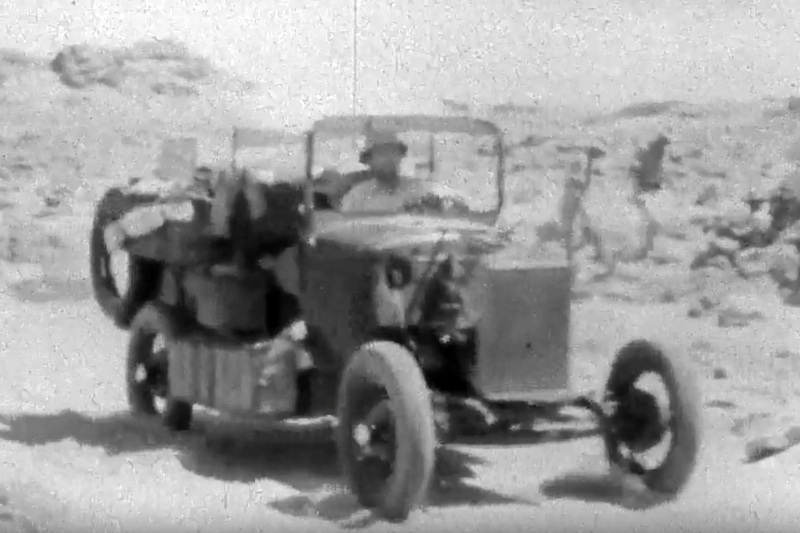 Bribing or intimidating their way across the desert in just a few days, on their way they doubtless passed close to the 1977 Saviem Balise #22 east of the Gilf (right). 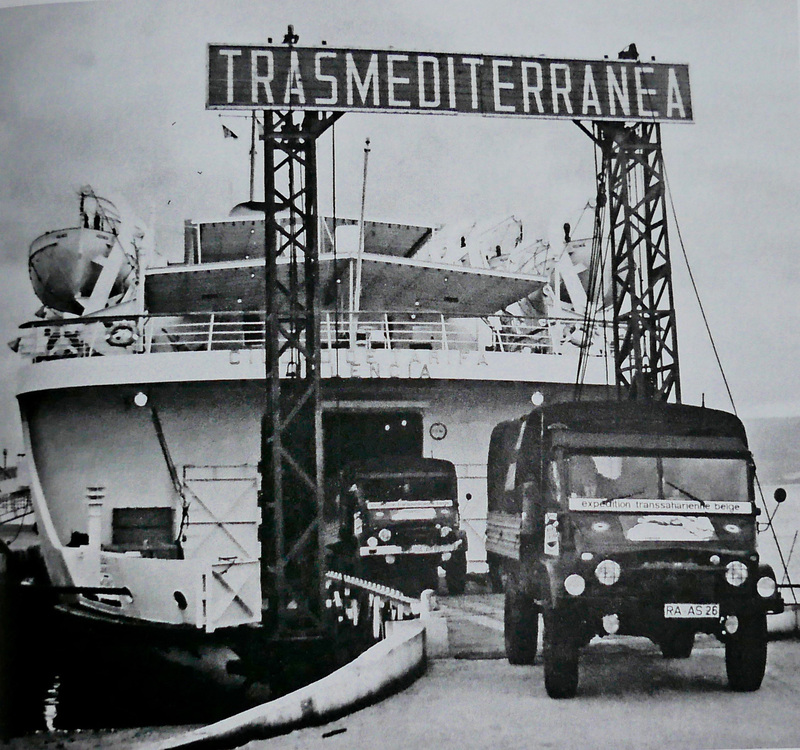 At the Suez ports the coke was said to get stashed aboard a container bound for southern Europe. 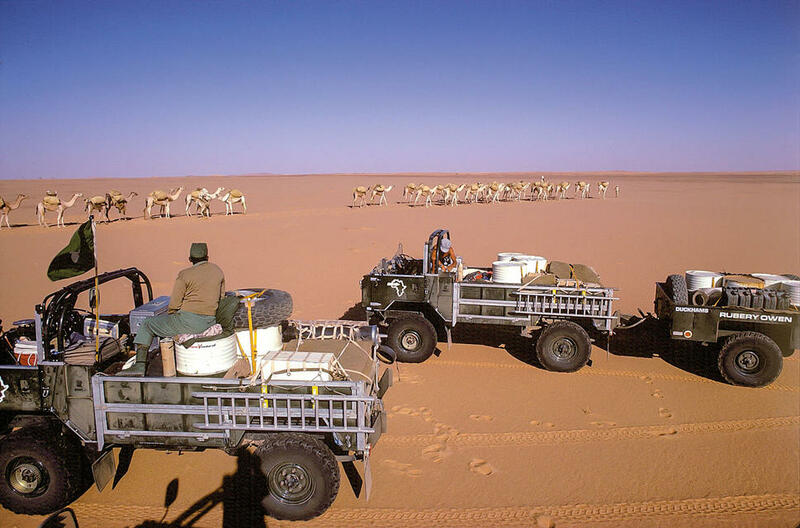 So these days the ultimate Sahara expedition may well be being knocked out, but not by the sort of people too bothered about getting into the Guinness Book of Records or Facebooking about it with live Spot tracking. 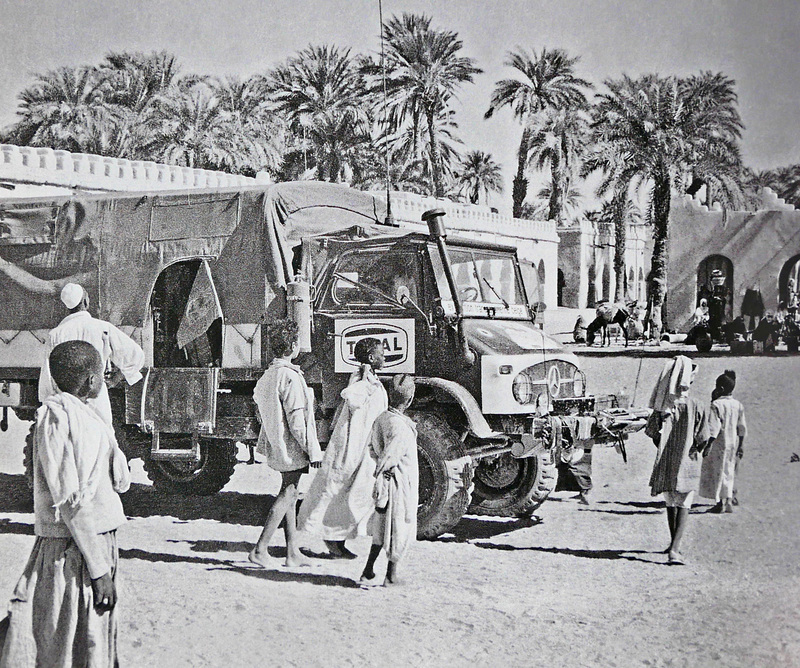 Saviem TP3 vans and SM8 trucks in Egypt, 1977. Short Saviem film. 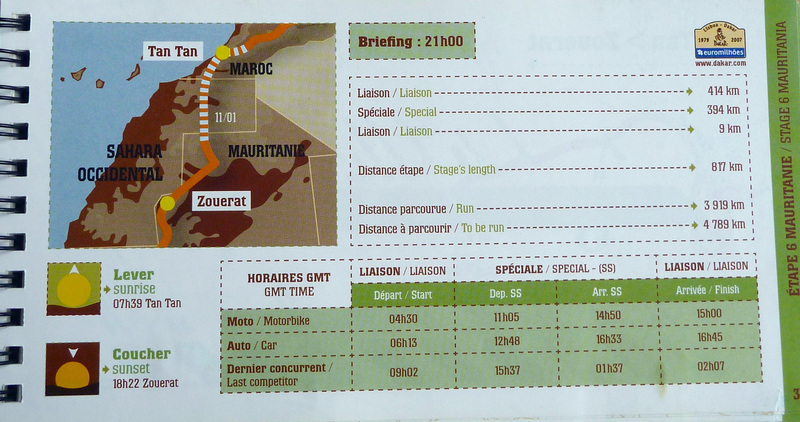 Up until the gas plant attack at Tigantourine in January 2013, I could probably have knocked out my crossing to the Algeria Tree at any time. 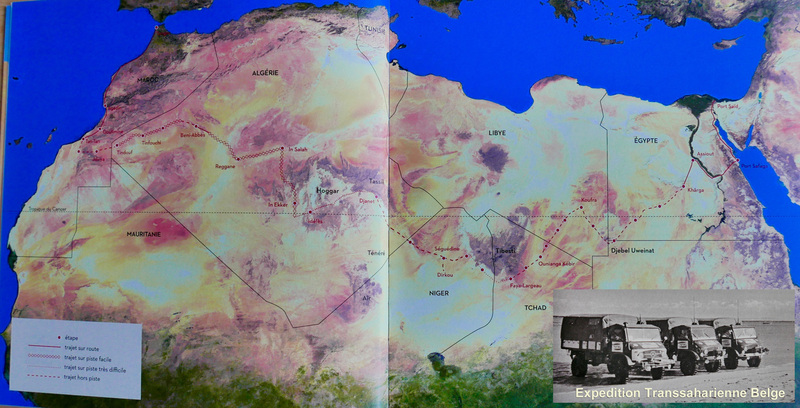 Either driving down to Edjeleh oil camp right on the Libyan border (map right), then scooting over the dunes as shown on Google Earth (Sahara Overland Route L2’s Algerian stage). 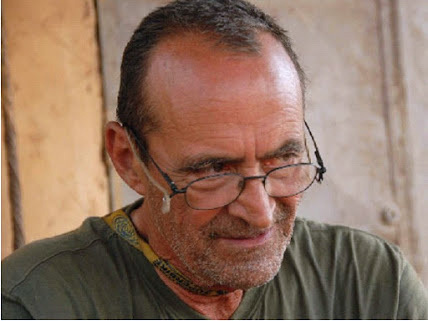 A few years ago I recall making contact with an oil worker based in Edjejeh, asking him about civilian access in the area but he wasn’t very forthcoming. 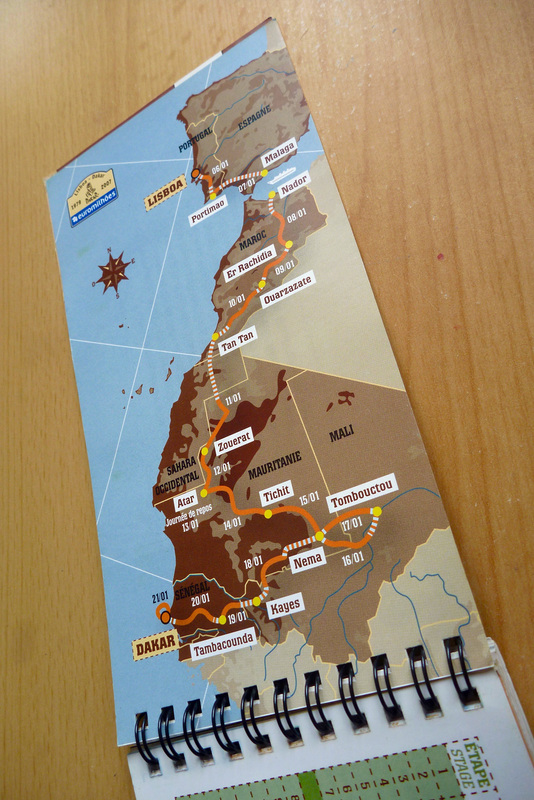 Alternatively, one could just nail it 100km east from the N3 highway south of Erg Bouharet. 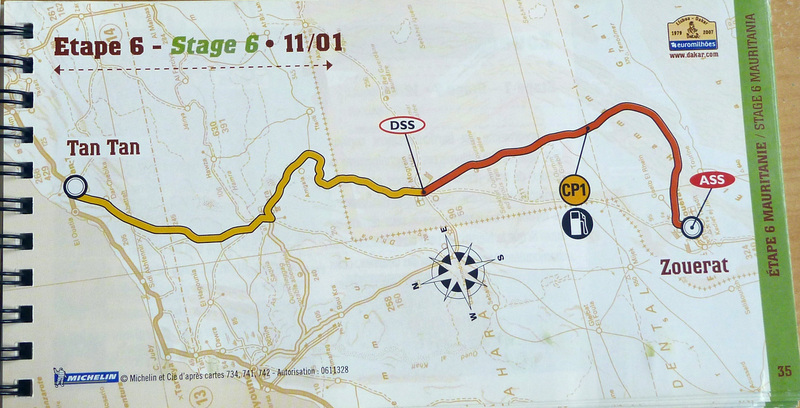 The stony reg thereabouts is criss-crossed with old oil exploration tracks, but as I say, post-Tigantourine that area will now be very closely watched. 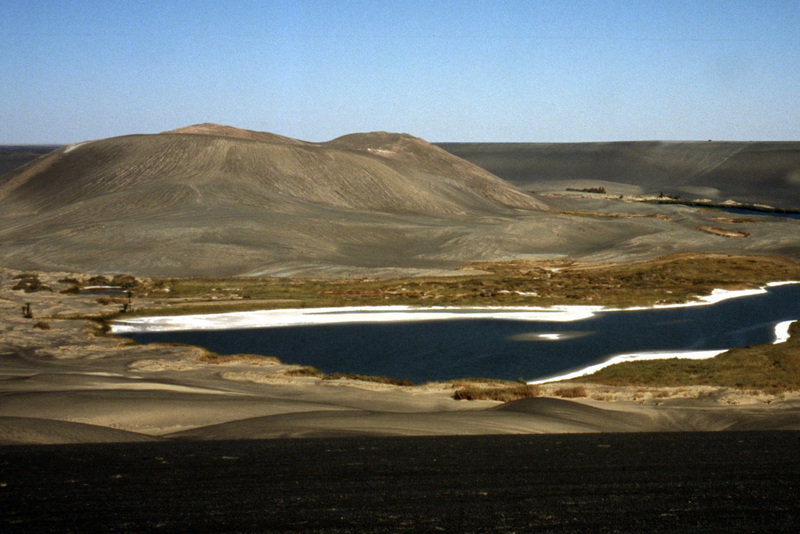 Then there’s the more substantial missing section from my West-East in eastern Libya: from Waw Namus crater which we visited in 1998 (right) to a place east of Kufra where we spent Christmas in 2004 on our Gilf trip based out of Egypt. 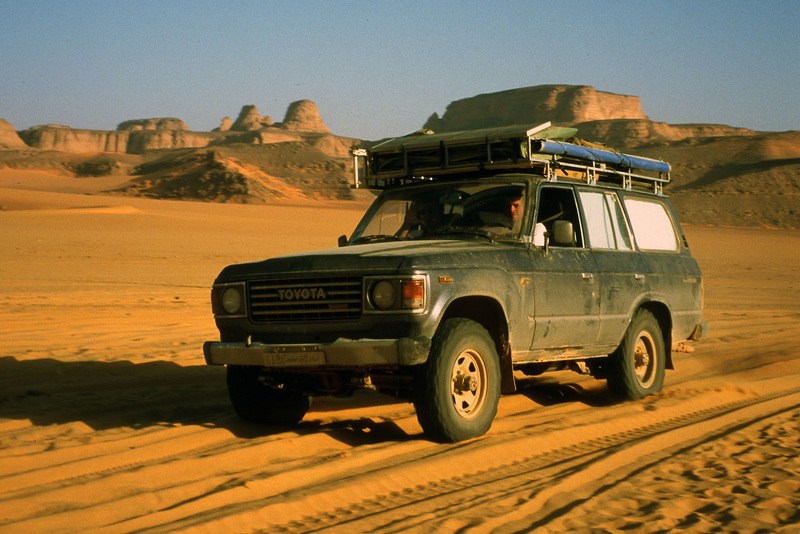 I remember that day well; we had more trouble than normal getting Mahmoud’s Toyota-engined Series III running, dragging it to life with the Land Cruiser (right) after setting a fire under the chilled engine. 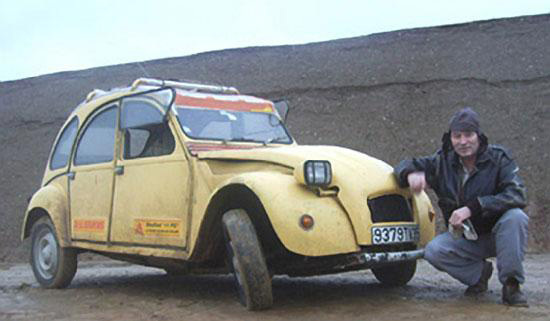 With us that time was Toby Savage (my Desert Driving dvd co-presenter) who in 2012 travelled through the Gilf with WWII-era Jeeps, while possibly outnumbered by escorts and soldiers. 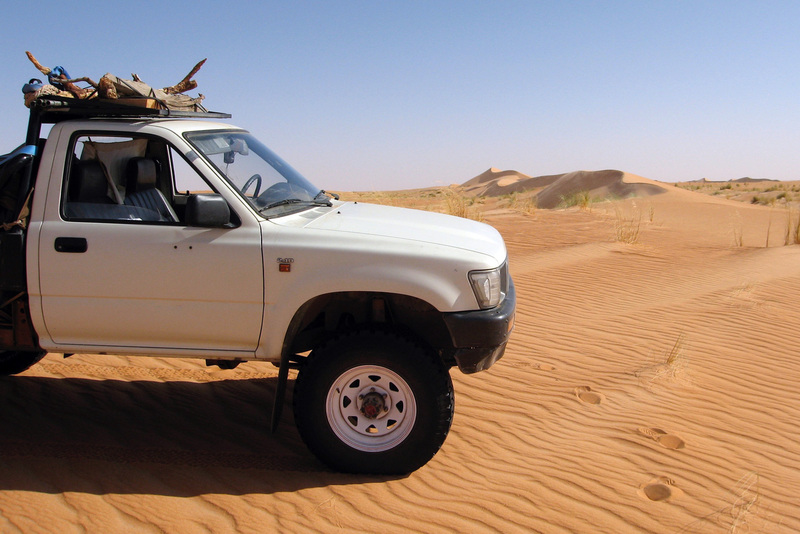 No tourist has driven in southern Libya since the fall of Gaddafi in 2011. 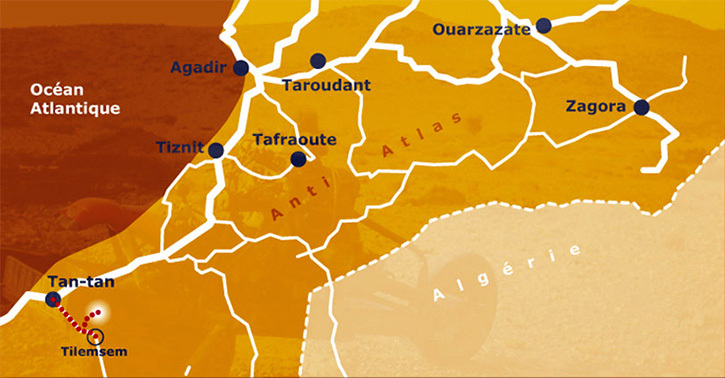 The south has now controlled by the Tuareg (and maybe a bit of AQIM) and the Tubu who battle it out for the control of the lucrative people-trafficking routes and other commodities coming up from Niger. 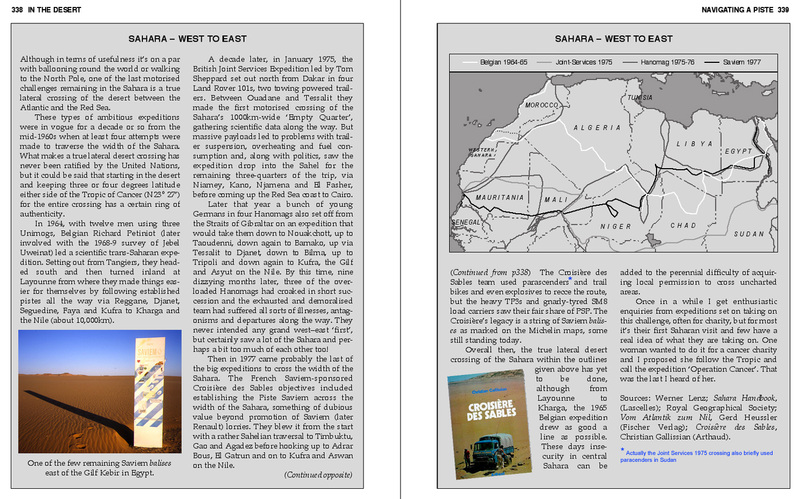 As things stand now in Libya, ticking off that final 1000-km stage from Waw crater to Xmas Camp may take a while – something to save for a rainy day in the Sahara. 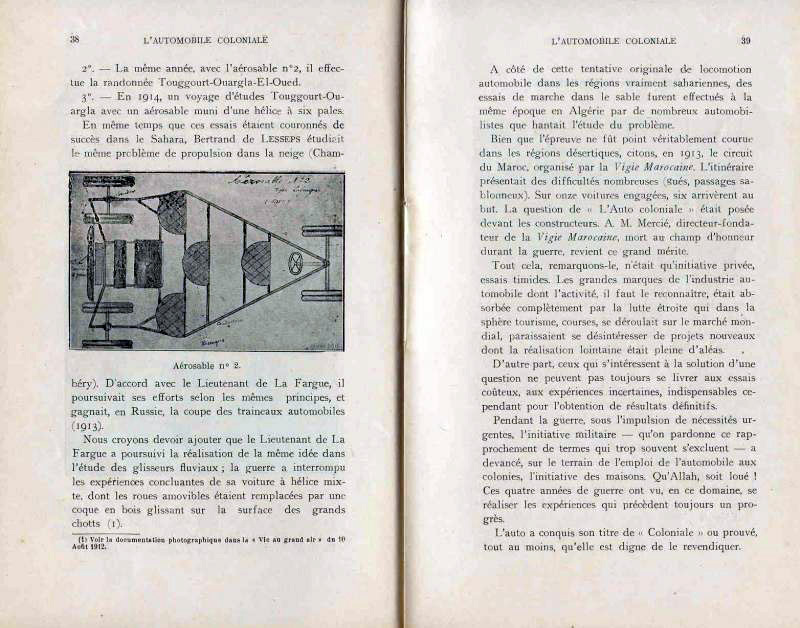 Of the four expeditions mentioned here, the three continental ones produced illustrated books in French and German. 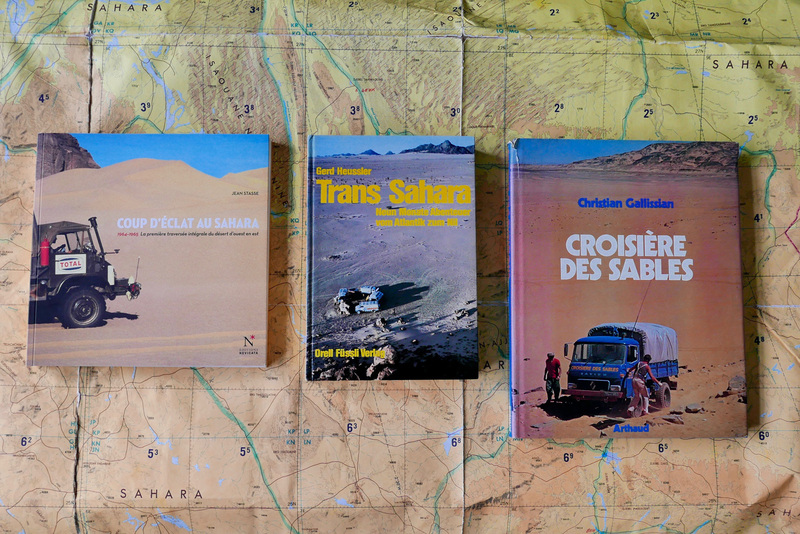 If you don’t read either language, the big-format Croisiere des Sables is a good one to get – mostly pictures and under a tenner on abebooks. 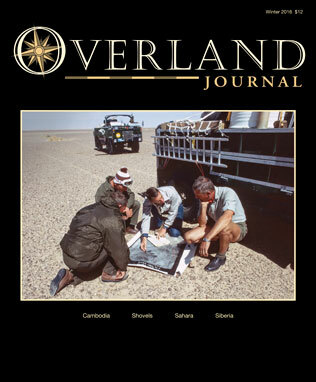 Even though Tom Sheppard publishes his own Sahara picture books, it looks like we’ll never get a full account of the JSE 101 crossing, although he wrote a pretty good illustrated summary in the winter 2016 issue of the quarterly Overland Journal (right). 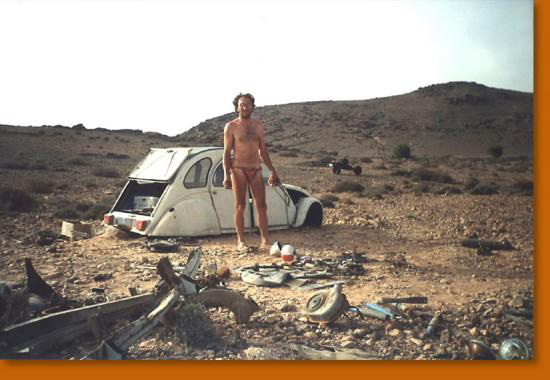 This entry was posted in Cars, Trucks & 4WD, Desert Babbles (blog), Maps, Uncategorized and tagged ;and rover forward control sahara, east of Kufra, Edjeleh, Erg Bouharet, hanomag AL28, hanomag sahara, hanomag sahara 1975, In amenas, joint services expedition sahara, land rover 101 sahara, majabat al koubra, Michael Asher and Mariantonetta Peru, michael palin sahara, Sahara Atlantic to Nile, sahara overland, Sahara West to East, sahara west to east 1975, Sahara West to East Crossings, saviem balise, saviem croisiere des sables, saviem sahara 1977, saviem tp3 sahara, Serdeles, the algerian tree, Tigantourine, tin alkoum, tom sheppard, toyota hj61 sahara, unimog 416 sahara, unimog sahara 1964, VW taro Empty Quarter sahara, VW taro sahara, Waw Namus crater on February 14, 2017 by Chris S.
Some time ago someone kindly gave me the official ASO roadbook from the 2007 Lisbon-Dakar Rally, the last one to be held in the Sahara. 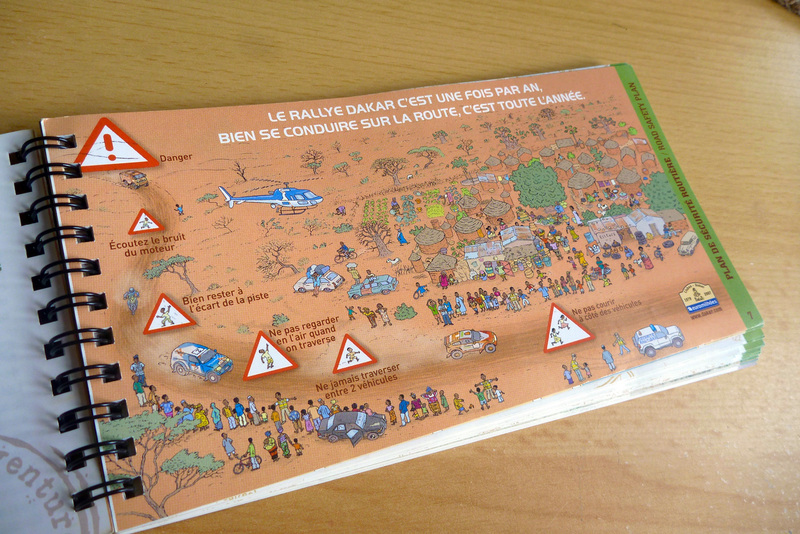 Following the murder of a French family in Mauritania just before the Rally (actually thought to be criminals not terrorists) additional threats saw the 2008 event cancelled at the last-minute. 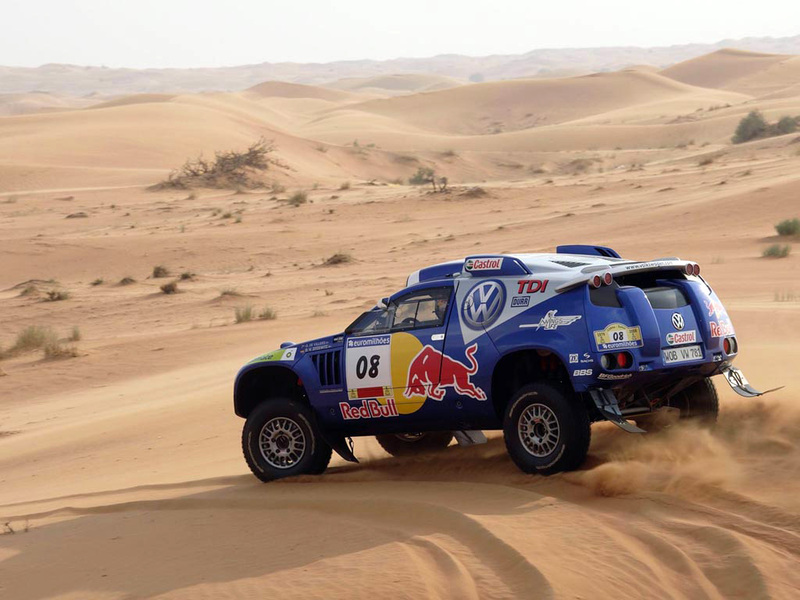 The following year the Rally moved to South America where it continues to thrive with less controversy. 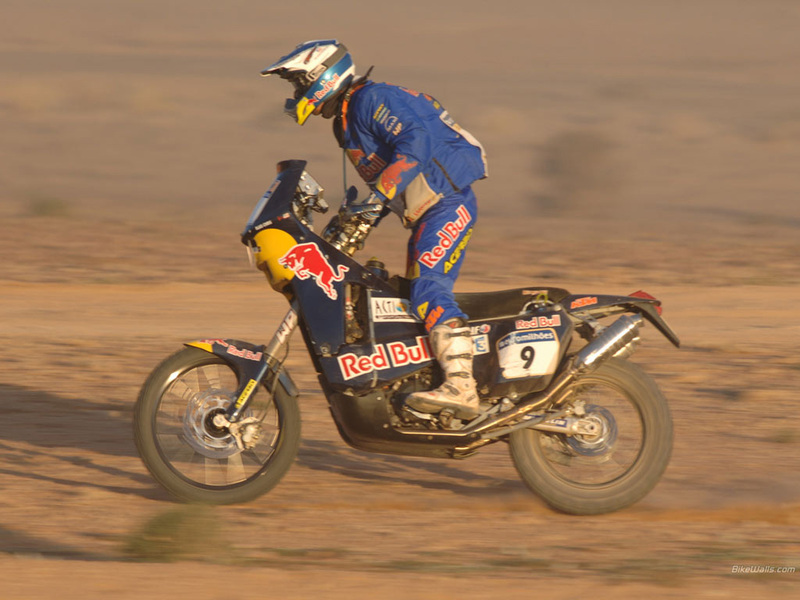 The longest stage in 2007 was across the top of the Western Sahara from Tan Tan on the Atlantic to the Mauritanian mining town of Zouerat – 817km via Smara with a tea break at Bir Mogrein. 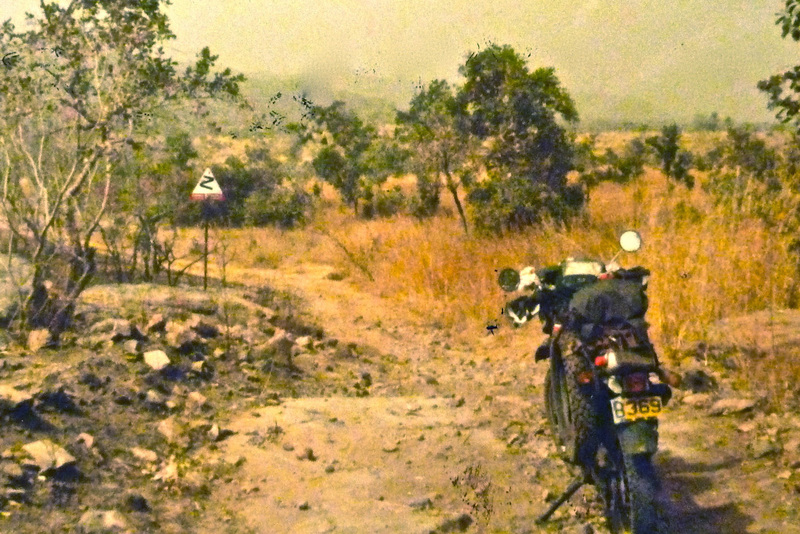 The shortest stage was still 500km through the light jungles of western Mali and Senegal where I limped over the border into Senegal some thirty years earlier on two flat tyres (right). 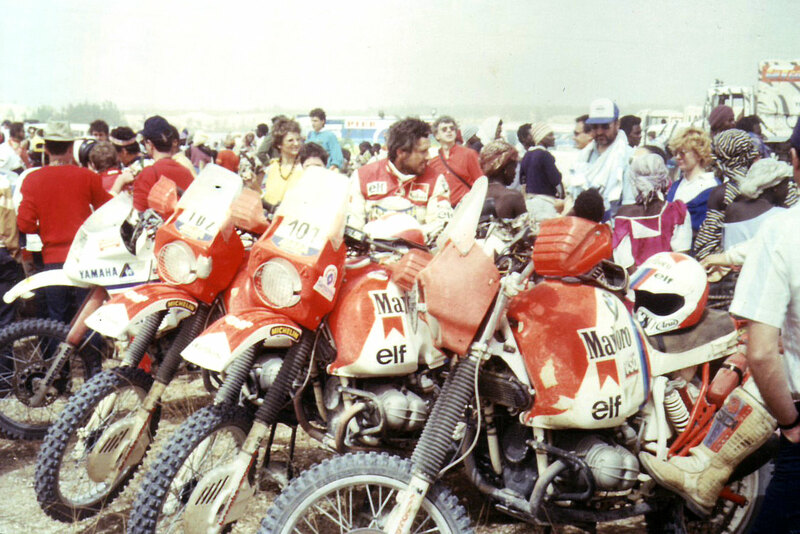 I passed plenty of Dakar racers that year too and eventually ended up in Dakar myself (above left), but not on any sort of podium. 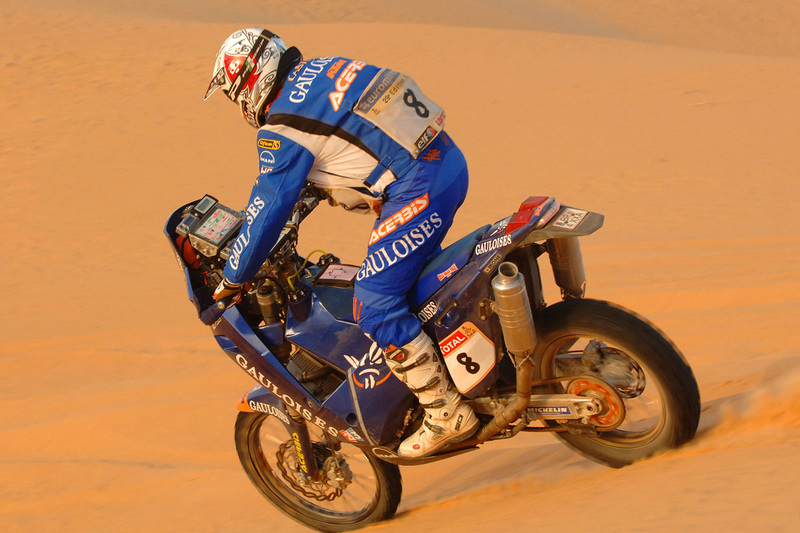 Below some snapshots from the Last Roadbook from what many still feel was the last real Dakar. 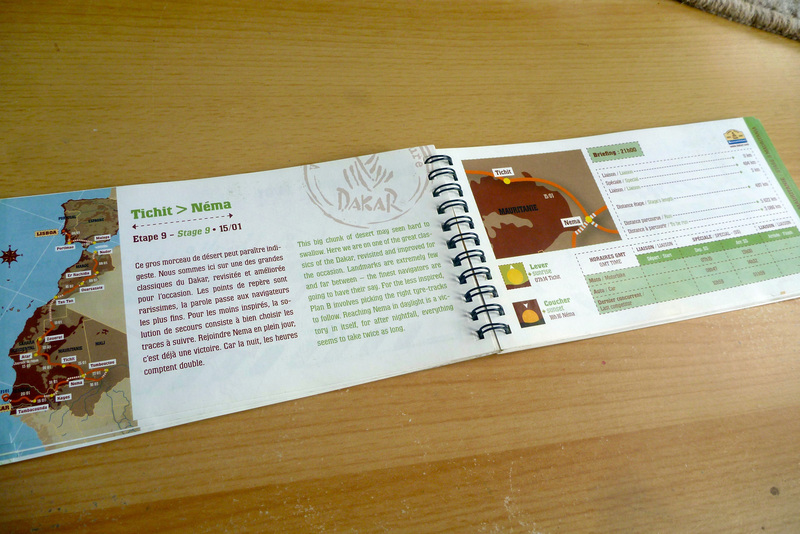 This entry was posted in Cars, Cars, Trucks & 4WD, Desert Babbles (blog), Uncategorized and tagged bir mogrein, dakar 2007 roadbook, dakar rally, western sahara on August 18, 2016 by Chris S.